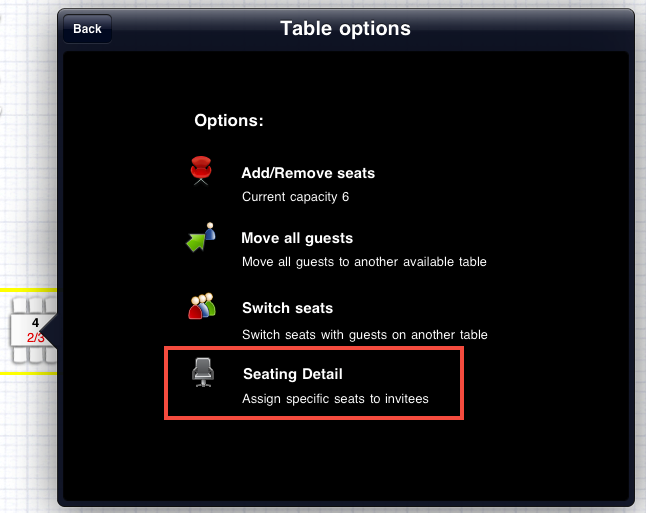 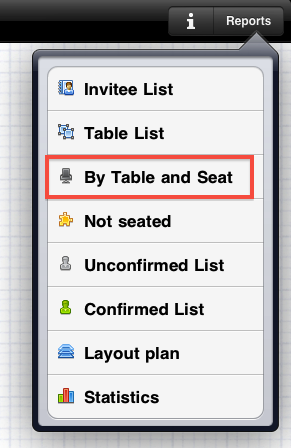 The next version (myBanquet 1.7) will include an option to allocate specific seats to guests. 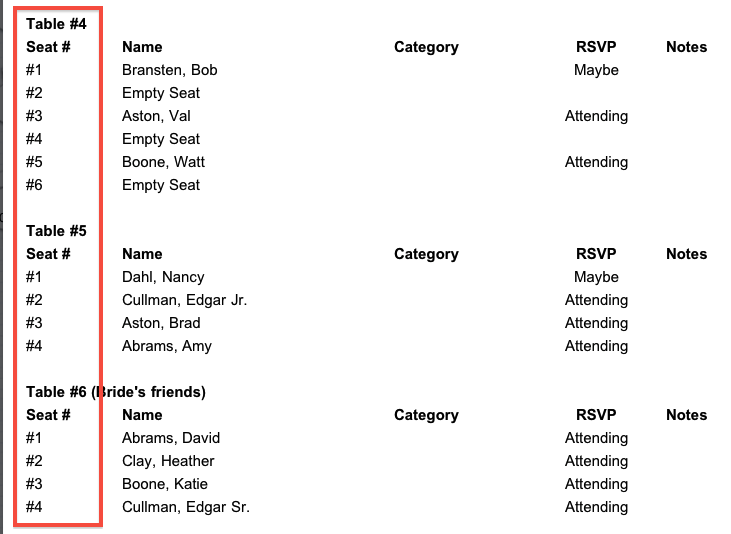 names and exchange their positions. 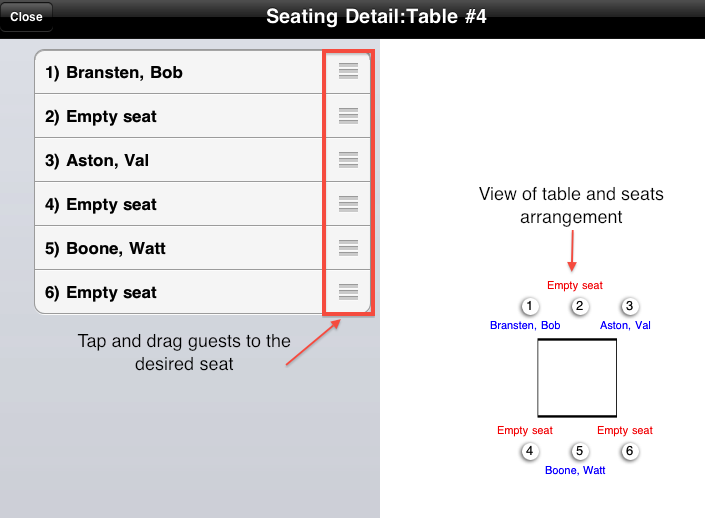 There will be a preview pane of the right side.